Below you will find four opening order selections targeted for particular skin conditions that you will often treat in your practice. Over a 5% discount is reflected in all of these order prices. The fifth offering is our signature opening order, which features our complete collection of professional and home care products, also includes free product training at our Florida training center! Signature order product training with a Mark Lees trainer may be available at your location in certain areas. This opening order selection is the most complete way to start practicing with our product systems, and reflects over a 10% discount off our normal wholesale prices. Our signature opening order offers the entire selection of our highly-tested products, to improve the appearance of combination, clog-prone, sensitive, aging, or acne-prone skin conditions. For Acne & Oily, Problem Skin These products help with oil-control, with anti-bacterial, and exfoliators that are very help improve clarity of oilier and acne-prone skin, including mild to moderate acne. Our time-tested system of non-clogging skin care products is ideal for combination skin, or skin that tends to develop clogged pores and minor blemishes easily! Support System features state-of-the-art performance ingredients for significantly improving the appearance of lack of elasticity, skin smoothness, firmness and hydration. 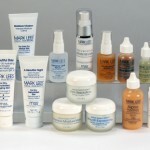 Special formulation techniques, addition of soothing agents, and avoidance of known irritating ingredients make this highly-tested line ideal for sensitive-dehydrated, or reactive skin.